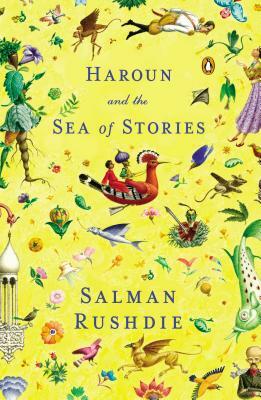 Set in an exotic Eastern landscape peopled by magicians and fantastic talking animals, Salman Rushdie's classic children's novel Haroun and the Sea of Stories inhabits the same imaginative space as The Lord of the Rings, The Alchemist, and The Wizard of Oz. In this captivating work of fantasy from the author of Midnight’s Children and The Enchantress of Florence, Haroun sets out on an adventure to restore the poisoned source of the sea of stories. On the way, he encounters many foes, all intent on draining the sea of all its storytelling powers. "Fantastical, funny, whooping through drama and comedy, good and evil, introducing creatures delightful or frightening, this joyous and tender book is a whole Arabian Nights entertainment." "A lively, wonderfully inventive comic tale . . . [Rushdie's] own Sea of Stories from which he drew this entertaining and moving book continues to flow as clear and brilliant as ever."